Part II of the industry’s season finale has begun. On Tuesday afternoon, CAN Capital confirmed that CEO Dan DeMeo had been put on a leave of absence. The chief risk officer and chief financial officer have also reportedly stepped down. Parris Sanz, the company’s chief legal officer, is now running the company, a CAN spokesperson said. His new title, acting head (which is how their statement referred to him), is perhaps a subtle clue that the company did not plan these moves far in advance. And it’s the phrasing that’s used to describe the departure of these executives that’s worth raising an eyebrow. A leave of absence? A curious fate indeed. But more recently, there’s a different tone. A spokesperson for CAN said that the company had “self-identified that some assets were not performing as expected and that there was a need for process improvements in collections.” The sudden decapitation of the company’s top officers seems a harsh consequence for this apparent underperformance, especially given that CAN has long been on the short-list as a potential IPO candidate. DeMeo himself had been with the company since 2010, having started originally as the CFO and rising to the CEO position in 2013. While CAN Capital is a private company, they are notable in that they have originated more than $6 billion in funding to small businesses since 1998 and secured a $650 million credit facility led by Wells Fargo just last year. Some outsiders are not surprised by what’s going. Alex Gemici, the chief revenue officer of World Business Lenders (WBL), said that it’s an indicator that uncollateralized lending is not the panacea everyone thought it was. “What we’ve been saying all along is right there on deBanked,” Gemici said, while directing me to the prediction they made a year ago that appears right on this website. 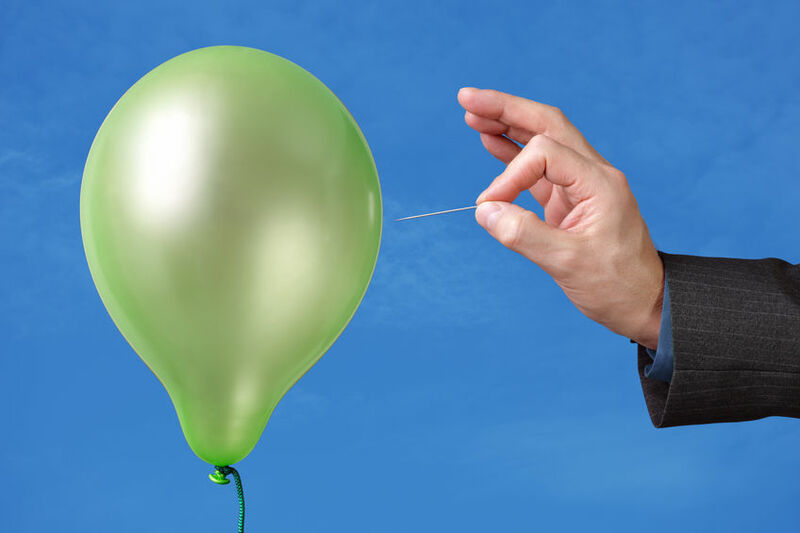 At a December 2015 event at the Waldorf Astoria, WBL CEO Doug Naidus told a crowd comprised mostly of his company’s employees that he believed the bubble was about to burst. He doubled down on that prophecy in an interview four months ago in which he chided companies for having forsaken sound underwriting. Is he right? In the last six months, the CEOs of Lending Club, Prosper and CAN Capital have all stepped down. Avant shed a lot of its staff. Dealstruck, Circleback Lending and Windset Capital have stopped funding. Confidence in the business side of alternative finance has also started to slip on a measurable basis before the election even happened. But CAN has not specifically fingered underwriting practices as the reason for their management shakeup, instead leaning towards it being a lapse in their process as the company grew. “It became clear that our business has grown and evolved faster than some of our internal processes,” they said in their statement. The only alternative business lender funding more annually is OnDeck, a company that has garnered its fair share of criticism over its lackluster financial performance. Their stock is currently down a whopping 77% from the IPO price, but they have put on a good face for the industry they lead. The familiarity of their famous CEO and the decade in business under their belt arguably even has a calming effect on the tumultuous world of financial technology startups. For risk experts like Hernandez of Central Diligence Group, he thinks the newness of everything has been part of the problem. “I believe [funding companies] have faced a big hurdle in acquiring talent,” he said while adding that funding companies can be forced to hire underwriters with no prior knowledge of the product just to keep up with the growth.